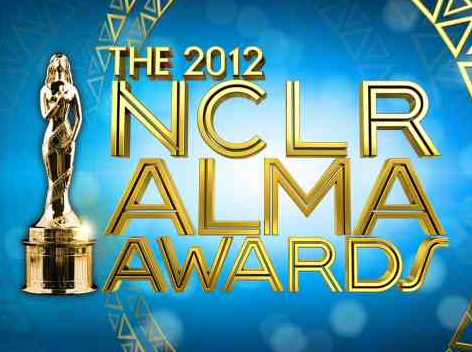 Salma, Sofia, JLo, Christina, Eva & Eva - Yeah, They're All Nominated for ALMA Awards - Fueled by chile, frijoles & tortillas. Nombre, you’re better off asking who’s not nominated? I kid, LOL! Pero fijense nomás, if you were to ask that question I’d have to say folks like America Ferrera and Rosario Dawson who haven’t been in the limelight very much this year at all. Those folks are probably the only Latinos in the entertainment industry who haven’t been nominated for this year’s ALMA Awards, put together by the National Council of La Raza (NCLR) annually. Digo, don’t get me wrong. I think it’s great that por lo menos NCLR recognizes the talent of our own raza, no pun intended, but it’s not everyday we get to see so many of our artists and entertainers being nominated… well, for pretty much anything. Mucho menos que ganen. In this case, any way you cut it, no matter who wins or loses, several of our famosos are walking away with trophies. You gotta like them odds! Which brings us to the other part of this post. This year, the ALMA Awards, which will be aired Friday, September 21, 2012 at 8/7 C on NBC, will be awarded to winners “with your votes in mind.” What does that mean? Pues, that if you want to, you can vote for your favorite artist in their respective category, daily, every day, from now until online voting closes on September 7, 2012. If you’re interested Vote Here. Now This Is How You Pay Tribute To Frida Kahlo! What’s in a Latino Nickname? Thanks, Mrs. Eusebia E. Aquino-Hughes!